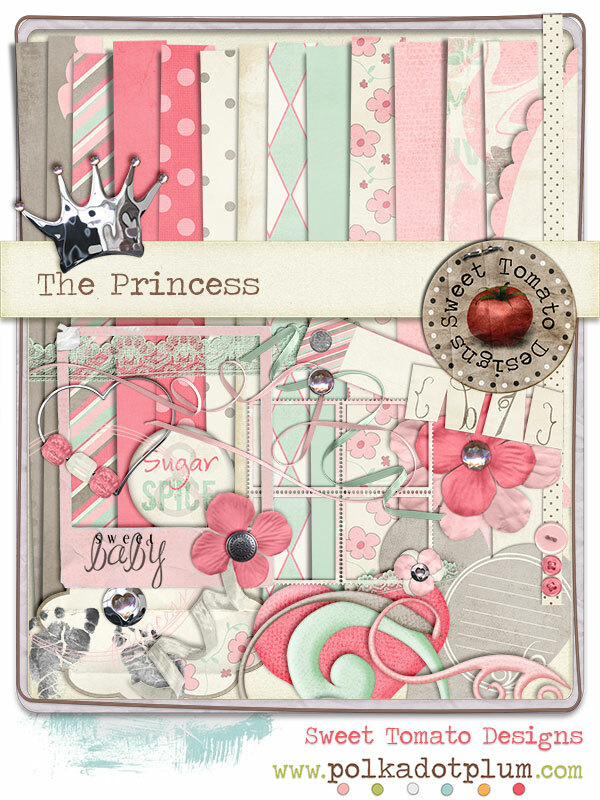 Sweet Tomato Designs has a beautiful kit out called, of course, Princess. To purchase this kit visit Sweet Tomato Designs at Polka Dot Plum’s Shoppe. Here is a set of pictures of my daughter right after she was born using of course the Princess kit! I hope to get one of these done for each of my girls and perhaps even a quickpage out there for you to grab with the basics if you are interested. Check back soon for that. And there are more exciting kits that are out catching up with my scrapbook therapy is one of my priorities in the coming weeks. I’ve gotten behind with all the traveling that we have been doing.